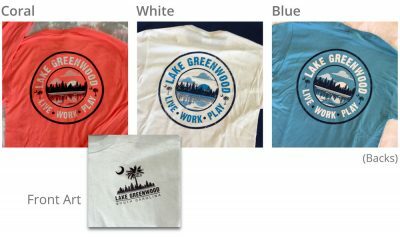 Become a Friend of Connect Lake Greenwood. We need your support to continue events, programs and projects on the lake. Did you know since 2014, Connect Lake Greenwood (CLG) has held more events, accomplished and assisted in more projects and programs than in the last 20 years! CLG was originated in 2014. Check out the list of accomplishments on our brochure. We have more exciting events and projects for the coming year. Your invaluable support provides resources that CLG needs to continue enhancing life on our lake! Invest in your lake today to help us make a difference for YOU! Thank you for helping our worthy cause! Check out what CLG has accomplished or been involved in.